Gone are the days when tigers ruled the forests of Asia during the late Holocene and Pleistocene epoch. They had lived in large numbers on the Indonesian islands of Sumatra Bali and Java. However in the 20th century big cats disappeared from all the major habitats in western Asia. Prominent among the causes were human hunting at a massive scale. During 1940s they were hunted to extinction on Bali Island followed by Java and Caspian Sea. Over the time as the human population grew in numbers they destroyed tigers’ habitats. 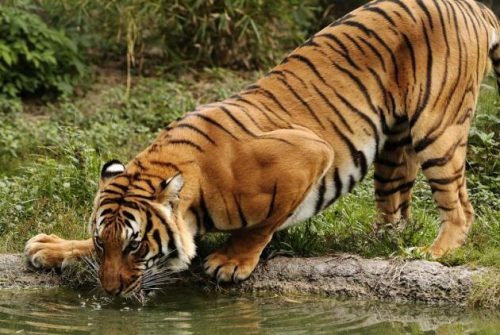 As it turns out tigers not only fell short of prey they were also forced to leave their wild habitats. There are now less than 5,000 tigers remaining in the wild. 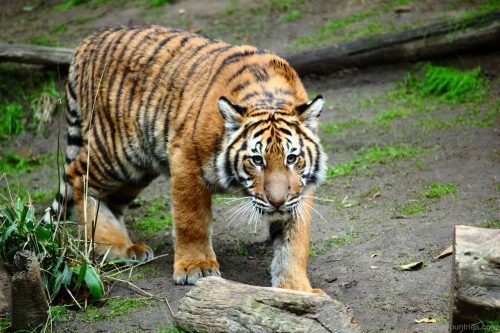 Study suggests that captive tigers have outnumbered the wild tigers. Today they live in Southeast Asia but the northern species are found in the southeastern Siberia. Tigers make homes in habitats that are abundant in dense vegetation and water. 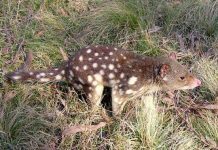 They prefer vegetation because it provides them sufficient cover. 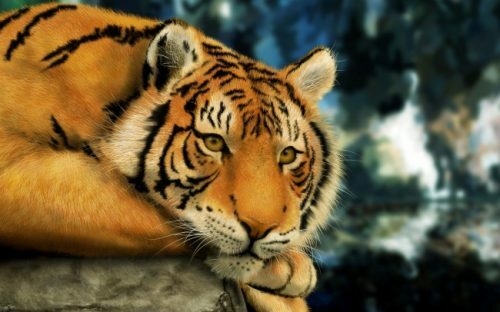 Besides the stripes on the tiger’s coat allow cats to hide in a tall grass. 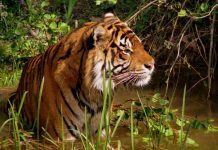 In the north India and Nepal tigers rely on tropical rainforests with tall grasslands including dry evergreen forests, mixed deciduous forests, and mangrove swamps of Sundarbans. See also: Do Tigers Live in Africa? In Thailand tigers make homes in the dry dipterocarp forests. In the Russian Far East they occupy boreal and temperate forests. 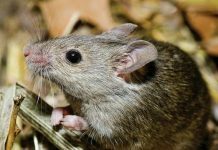 They find cover in reed jungles, montane forests, and riparian thickets in the Middle East. Tigers are not really demanding in habitat selection. Sometimes they live in habitats even where the prey is scarce. This shows that the prey density is not the deciding factor in choosing habitats. Let’s see where do different types of tigers live in the wild. Bengal tigers are the greatest in numbers. They make up two-third of the entire tiger’s population. They live in the Indian Subcontinent. 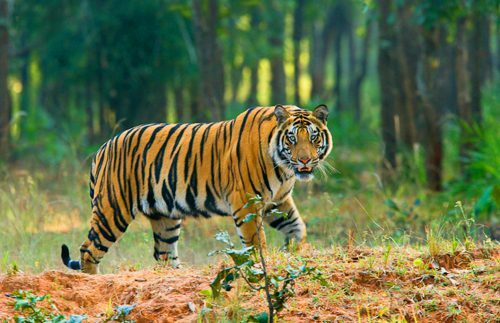 Bengal Tiger Habitat consists of tropical dry forests, mangroves, temperate upland forests, subtropical moist deciduous forests, alluvial grasslands, and moist evergreen forests. Previously tigers occupied a vast land of grassland along the Brahmaputra Plains but today they rely on agricultural lands or habitats which are degraded. Many individuals move towards the outer foothills of the Himalayas. Bengal tigers of India and Bangladesh are the only species to make habitats in the mangrove forests. In India they live in various national parks and reserves. Parks include Panna National Park, Hazaribagh National Park, and Orissa dry forests. They prefer moist deciduous forest in Indravati Tiger Reserves, Kanha-Pench, and Simlipal. There are 259 to 335 Bengal tigers in the Gangetic flood plain occupying a home range of 5,080 sq. km. The home range in Sundarbans National Park is about 1,586 km2 where tigers live in mangrove swamps. The biggest range of tigers is in the Western Ghats landscape which is 21,435 km2. The estimated population size in the Sundarbans of Bangladesh is about 200 to 419 tigers. They occupy mangrove habitats in Bangladesh where water is abundant. Nepal is home to 155 Bengal tigers while in Bhutan the population size is 103. Siberian tigers live in the Russian Far East where it is found in the southern Khabarovsk Krai and Primorsky Krai. 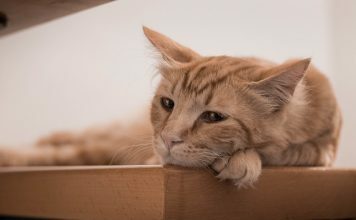 Siberian cats are also called Amur tigers because they live south of the Amur River. 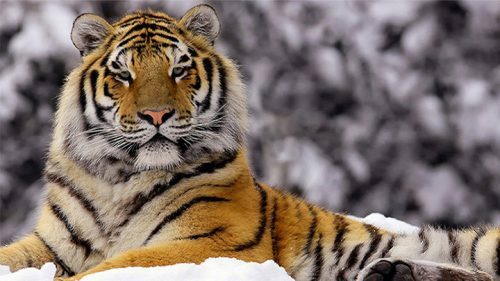 The Eastern Manchurian Mountain is 500 to 800 m (1,600 to 2,600 ft) above sea level and it is also home to Siberian tigers. The eastern Siberian tigers make homes in coniferous-deciduous forests while the northern subspecies rely on the boreal complex. Amur tigers fancy living in the Korean pine broadleaf forests and less likely to survive in the spruce-fir forests. Besides dense vegetation tigers also prefer to have large hollow trees and caves in their habitats. In the Sikhote-Alin Mountains tigers can prey musk deer, sika deer, and Manchurian moose. 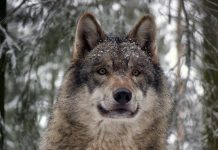 The prey density is high at the central Sikhote-Alin Mountains. The estimated population size in China is about 18 – 22. In the Russian Far East there are 331–393 Amur tigers living in the wild. There seems to be no clear division between the range of Indochinese and Malayan tigers. Malayan tigers are distributed in the southern Thailand and northern Malaysia. They had disappeared from Singapore as early as in 1950s. The last Malayan tiger was shot in 1932. Malayan tigers are thought to make homes in vegetation fields and riparian forests in Pahang, Kelantan, and Johor. They also live near South China Sea. Tiger’s range includes Malacca, Putrajaya, and Kuala Lumpur. The total area of Malayan tiger’s habitat is about 66,211 km2. The estimated size of a tiger’s population is 250 to 340 in Malaysia. Sumatran tigers are not concentrated in a particular area. They have scattered population. They live on the Indonesian island of Sumatra. Sumatran cats have varied habitats ranging from coastal lowland forests to as high as 3,200 meters above the sea level. In the Gunung Leuser National Park tigers live on the mountain forest at 10,500 feet high. In the northern Sumatra tigers are sighted in rugged habitats with the elevation measuring about 2,600 meters. The biggest population of Sumatran tigers is in Kerinci Seblat National Park consisting of 165 – 190 tigers. 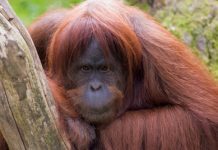 In the Gunung Leuser National Park the population size is 110 – 180. 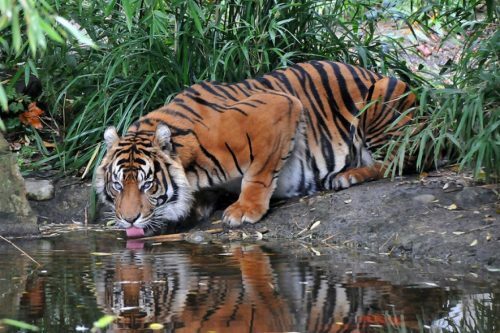 Few Sumatran tigers are distributed in Nepal, Cambodia, Vietnam, Laos, and China. South China tigers were once widespread throughout South China covering 2,000 kilometers. They used to live in large numbers in Jiangxi and Zhejiang provinces. In 1950s there were 4,000 South China tigers before they were hunted to extinction. Thirty years later only 150 – 200 tigers remained in the wild. Today we do not know how many South China tigers are living in the wild. 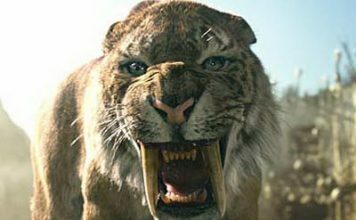 The Caspian tiger is an extinct species. It had occurred around the lake edges and river basins of the Caspian Sea. Lowland forests of Talysh Mountains and Prishib are the essential Caspian tiger’s habitats. In the northwestern Iran they had lived on the Zangezur Mountains. Caspian tigers lived in large numbers in the Middle East including Turkmenia, Sumbar, Ashkabad, Kashan rivers, Aral Sea, Tashkent, to as far south as Atlai Mountains. Tigers also lived around the Black Sea where they preyed on red deer and roe deer. 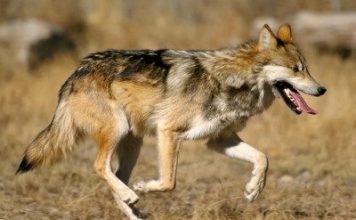 In the forested habitats around reed beds and thickets of Aral Sea Caspian tigers relied on wild pigs. 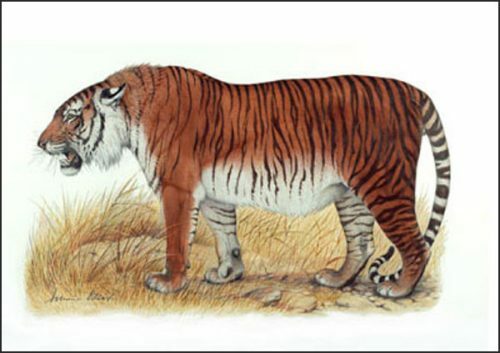 The Indochinese tiger occurred in Thailand, Vietnam, Myanmar, Laos, and Cambodia. Thailand hosts the largest population of tigers. The historical range includes China (Yunnam province and Medog County) but today tigers no longer survive in these Chinese provinces. The last of the Indochinese tigers was killed in 2009. Indochinese tigers make homes in a variety of habitats such as mangroves, hills, grasslands, mountains, and forests. Other habitats include evergreen forests, subtropical dry broadleaf forests, tropical rainforests, and deciduous forests. In Thailand tigers live in the subtropical moist broadleaf forests. Javan tigers had occupied much of Java in the 18th and 19th centuries. They were killed by local people in mid 1850s. 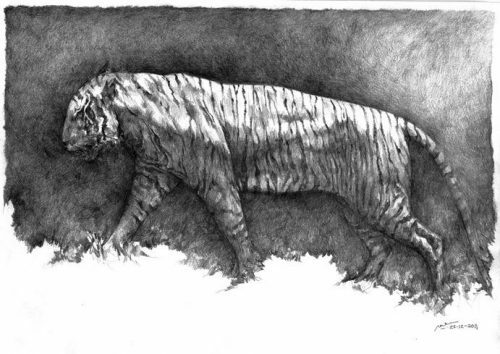 Javan tigers used to make habitats in mountains and forests. Their habitats were also found at an altitude of 1,192 meters on Mount Betiri which was the highest peak in Java.